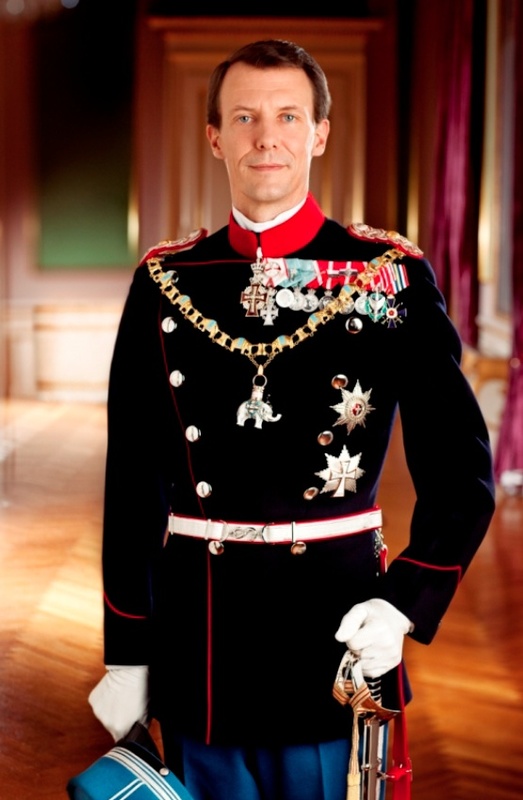 His Royal Highness Prince Joachim of Denmark Celebrates the 25th Anniversary of TV2. On the evening of Wednesday, October 2, 2013, His Royal Highness Prince Joachim of Denmark attended the Danish television network, TV2, 25th anniversary show held at the in Odense Congress Center. On the evening of October 1, 2013, Her Royal Highness Princess Caroline of Hanover presided over the Palamarès 2013 des Prix Fondation Prince Pierre de Monaco awards ceremony in Monte-Carlo. On October 2, 2013, His Majesty King Abdullah II of Jordan accompanied by His Royal Highness Prince Faisal bin Al Hussein watched a military exercise by members of the Jordanian Armed Forces. Meanwhile, Her Majesty Queen Rania of Jordan visited the “…IBDAA Charity Society an organization that adopts talented young people between the ages of five and twenty, focusing on the less fortunate and attempting to improve their abilities…” according to Petra News. During the visit Her Majesty met with representatives from IBDAA, toured the organization’s facility, met with volunteers and much more. On October 2, 2013, His Imperial Majesty Emperor Akihito of Japan held an audience with the Prime Minister of Spain, Mr. Mariano Rajoy, at the Imperial Palace in Tokyo. Prime Minister Rajoy is currently on a three-day visit to Japan to participate in the Japan-Spain Business Seminar. 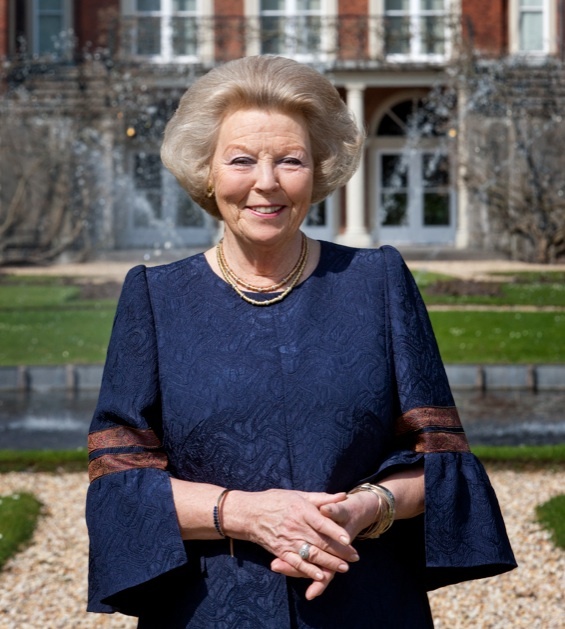 On October 2, 2013, Her Royal Highness Princes Beatrix of the Netherlands visited Gilze-Rijen military air base in the province of Noord-Brabant to visit members of the Dutch Armed Forces. News Regarding Her Serene Highness Princess Charlene of Monaco. On October 2, 2013, Her Serene Highness Princess Charlene of Monaco arrived at Le Carre du Louvre in Paris to attend the Louis Vuitton Spring/Summer 2014 Ready-to-Wear fashion show designed by Mr. Marc Jacobs. This was Mr. Jacobs last collection as creative director for the iconic fashion house. On Monday, the princess attended the Akris Spring/Summer 2014 Ready-to-Wear fashion show to support her good friend, Mr. Albert Kriemler. In other news, Princess Charlene will return to New York City on October 30, 2013, to attend the 2013 Princess Grace Awards Gala held at Cipriani 42nd Street. During the event “…24 awards will be presented to emerging artists in theater, dance and film…” according to the Princess Grace Foundation USA. On October 2, 2013, Their Majesties King Willem-Alexander and Queen Maxima of the Netherlands arrived in Oslo, Norway for an official visit. Upon their arrival at the airport Their Majesties were warmly welcomed by Their Royal Highnesses Crown Prince Haakon and Crown Princess Mette-Marit of Norway. Soon, Their Majesties arrived at the royal palace in Oslo where Their Majesties King Harald V and Queen Sonja of Norway were waiting for them. After a brief photo-op for the press Their Majesties attended a reception held in their honor then participated in a meeting with the Prime Minister of Norway, Mr. Jens Stoltenberg. The day ended with an official luncheon hosted by Their Majesties King Harald V and Queen Sonja at the royal palace. On the morning of October 2, 2013, Their Royal Highnesses Prince Felipe and Princess Letizia of Asturias presided over Santos Ángeles Custodios on the occasion of Festividad del Día de la Policía in Madrid. During today’s event, which commemorates police officers who have fallen in the line of duty, Prince Felipe presented decorations to various police officers for their outstanding service. On Wednesday, October 2, 2013, Their Majesties King Philippe and Queen Mathilde of Belgium visited the city of Namur. Upon their arrival at Place Saint-Aubain Their Majesties were warmly welcomed by hundreds of locals as well as by the governor and the mayor of Namur. Thereafter, Their Majesties attended a reception held in their honor at the Palais Provincial de Namur where they listened to various welcoming speeches, received gifts, and signed the Livre d’Or (guestbook). After the reception, Their Majesties visited the Musée Provincial des Arts Anciens du Namurois where they were given a private tour of the lovely museum. Soon, the reigning couple attended a luncheon meeting at the Théâtre Royal de Namur, and then completed a walkabout where they shook hands with hundreds of locals who were happy to met their new king and queen. To watch videos from today’s visit as well as to view photos please click the links below. On the evening of Tuesday, October 1, 2013, Their Imperial Highnesses Crown Prince Naruhito and Crown Princess Masako of Japan attended a concert held at he New National Theater Tokyo.